Believe it or not, we are turning the grand old age of 40 this year. The time has flown since we set up camp on Chatham St, Dublin all the way back in 1976, with the mission to help Irish explorers combat any challenge that they may face in the Great Outdoors! From Everest Expeditions to Family Camping Weekends, We Were There to kit you out. To countdown the days until our Birthday on November 26th, we’ve embarked on our own expedition – down memory lane. Diving into our top moments from each year, to give you an insight into our journey so far! Join us on Facebook and Instagram where we’ll share pictures and memories, along with giving you the chance to win prizes. Yes, you heard us right… Prizes! 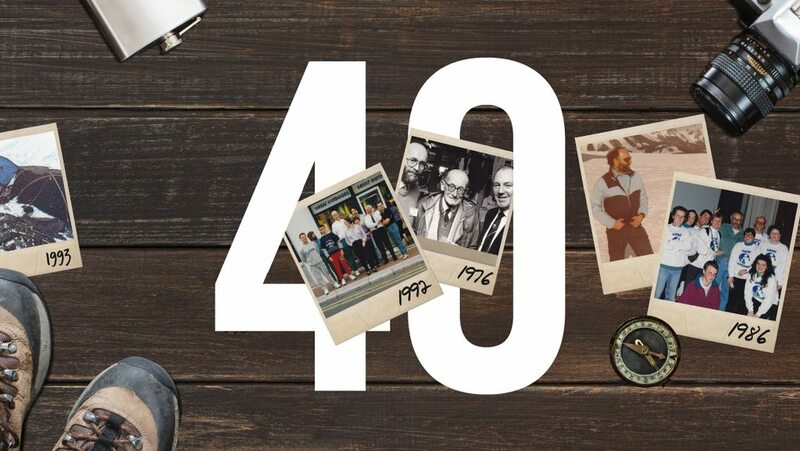 We’d never forget about our loyal customers, and to thank you for 40 Years of support we’ll be giving away a mystery prize each week in the lead up to our Birthday. Full terms & conditions of our we were there competition below. The following are the terms and conditions of the GreatOutdoors 2016 #wewerethere competition. Your participation in the competition shall be deemed to be your complete acceptance of the terms and conditions herein.